Once or twice a year we get this effect. 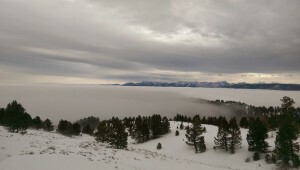 Weather conditions push the clouds down below our level. Livingston is down there somewhere socked in. I know its just water vapor but it feels like being on the ocean. 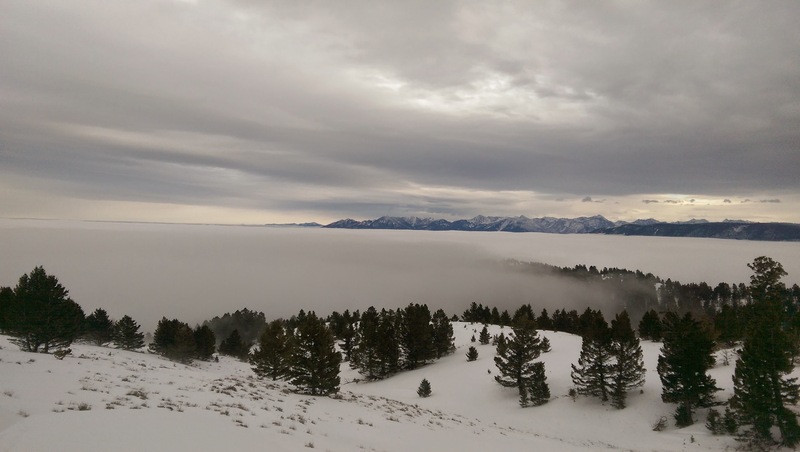 The Bear Tooth Plateau, the largest expanse of land above 10,000 ft in the continental U.S.A. sits on the other side of Park County like a island and shares our view. The temperature extremes must have a hand in this. Our weather station showed 41 deg. at 4 PM yesterday then a low of -2 deg. last night followed by a quick clime to 44 deg. by 1 PM today. It’s like a ocean side thermal roller coaster ride!